Porcelanosa’s commitment to the preservation of the environment has led us to develop products that allow a more responsible use of water and energy resources. Sustainable options are more and more demanded by architecture and interior design professionals. Many Porcelanosa bathroom elements have been improved in order to fulfill these demands. Porcelanosa has a vast number of products that adapt perfectly to current environmental concerns. In Part 1, of our Sustainable Bathrooms series, we discussed the Porcelanosa’s New Forma and NK Concept faucets and how they incorporate cold water opening technology. We also discussed the use of the Eco Cartridge, which is used to promote reasonable water consumption. 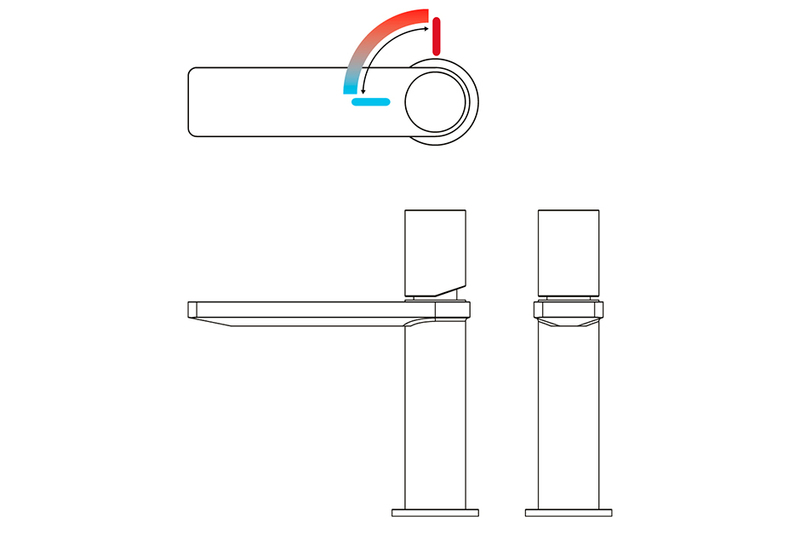 We continue the series below with information about Air Eco, our thermostatic faucets and the use of an Eco button as well as our toilet flushing systems. Less water, less energy and less CO2. How do you make less water go further? Very simple, by using Noken Eco technology. An ingenious flow rate limiter with special jets and air incorporation making water consumption reduced to 6 or 12 liters per minute without altering the high level of shower comfort. A technique which also saves on power since the volume of water to be heated is less. Thus, starting from the shower we begin to contribute to environmental protection. 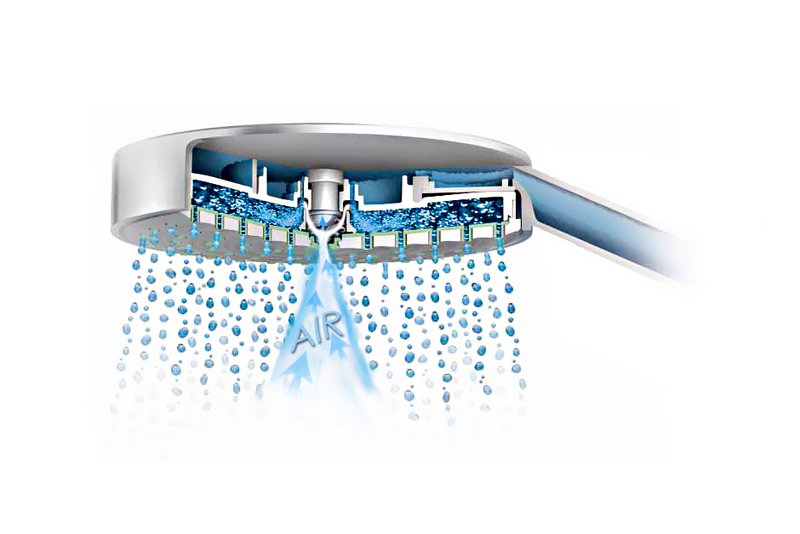 “Air ECO” also means that when water is mixed with air, it is taken more advantage of, hence the high water demand of large showers is counteracted. In showers with the AIR ECO water system consumption can even be reduced by 10% and jet quality is improved. 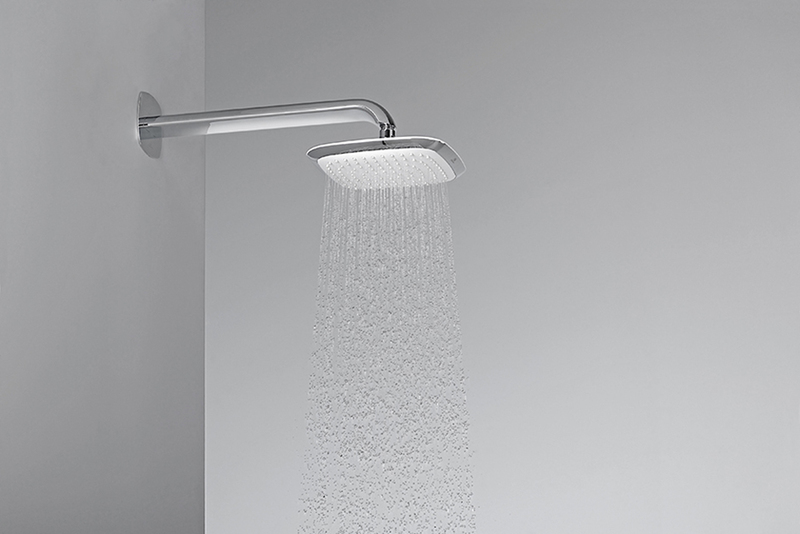 Compared to conventional shower technology, one has the impression of an even higher volume of water. For sure we have piqued your curiosity. How does the innovative ECO AIR technique work? How does the beneficial air penetrate the shower water? We explain: the air is absorbed through a hole in the center of the shower head and mixed with the outgoing water. A liter of water corresponds to 3 liters of air! The result: while the volume of water droplets is increased, they have in turn a lighter and softer effect. Instead of the typical water stream, millions of voluminous raindrops caress the skin and the body is completely wrapped in a pleasant film of water and air.